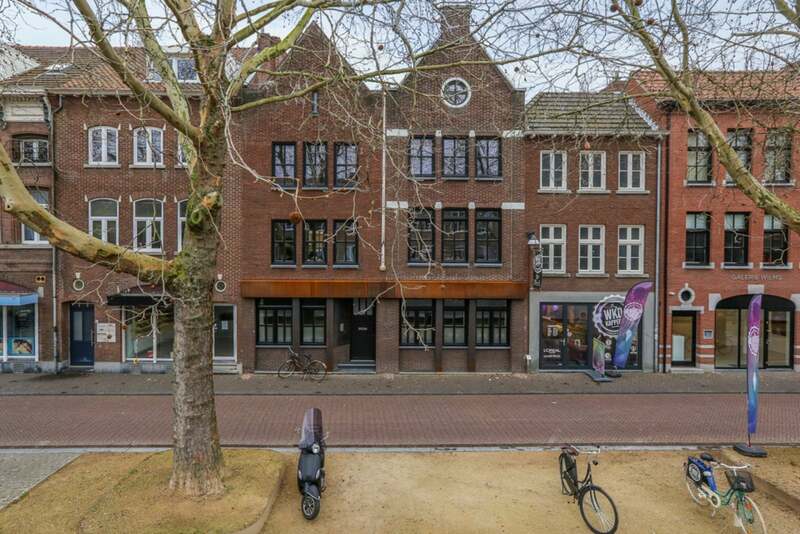 Luxurious and tastefully furnished apartment, with parking space, in the center of Venlo. A stone's throw from restaurants, shops, nightlife and station. The property is fully furnished and furnished and fully equipped. This property is ideal for expats and temporary residents and has no fewer than 5 bedrooms. Carefree living in a unique object in the heart of Venlo! You reach the private roof terrace via the staircase to "Aan Cedron". The roof terrace has a beautiful lounge set and wooden planters that offer maximum privacy. The living kitchen is equipped with various appliances (fridge, dishwasher, hob, extractor hood and combi microwave). The cozy dining area makes this kitchen a comfortable living space. From the central hall you reach the living room and the toilet. Also here is the stairs to the sleeping floors. This floor has 3 bedrooms. The master bedroom has a comfortable double bed and ample storage space. The luxurious bathroom is fully tiled and has a 2nd toilet and a spacious walk-in shower. A 2nd bedroom is also equipped with a comfortable bed. The 3rd bedroom can be arranged as desired (in consultation with the owner). On this spacious attic floor there are 2 bedrooms (to be arranged according to your wishes) and a separate room with a washing machine and dryer. • A credit check is part of the screening procedure.